Here’s yet another “The Best…” list — this time focusing the Best Sources For Advice On Student Blogging. As with all my lists it is regularly updated to keep it current. Some articles included are older articles (published prior to 2010) and have been included because concepts in the articles apply to the current approach to student blogging. This list has been sorted by blogger. Sue Waters is Support Manager of Edublogs | CampusPress and has been helping educators blog with students since 2008. Class blog list – list of class blogs based on Grade and subject area which you can use to see how class blogs are used. Also indicates which class blogs have individual student blogs. Here’s a quick intro video to explain what is a blog. Silvia Tolisano is well known for her work with blogging with students. Make sure you watch The Possibility of Student Blogging by Andrea Hernandez and Slivia Tolisano. This video provides an excellent explanation of the blogging and commenting process, impact of quality blogging on student literacy and the importance of writing as part of a global audience. Lessons learned from a group of amazing student bloggers. Three tips for classroom blogging projects. Part One: Teacher Tips for blogging projects. Part Two: Teacher Tips for blogging projects. Part Three: Teacher Tips for blogging projects. Two Critical Tips for Classroom blog projects. What Does Student blogging exactly do? Common Concerns with student blogging answered. 14 Steps to meaningful student blogging. Paper blogs; A Lesson in Commenting on student blogs. Commenting guidelines for students – simple and good commenting guide on a class blog. Linda Yollis – Educational blogging wiki packed full of resources and tips for blogging with elementary students. 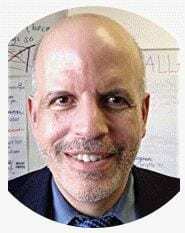 The Courage To Blog With Students is an article by my Teacher Leaders Network colleague Marsha Ratzel that is a “must-read” for any teacher using blogs with their students, or considering the idea. It appears in Education Week: Teacher Magazine. Three Teachers’ Answers to Questions on Classroom Microblogging is from The New York Times Learning Network. QuadBlogging Connects Student Writers with Global Audiences is by Suzi Boss at Edutopia. Here is a list of our class blogs. How To Comment In Social Media – An Infographic Of Tips For High Quality Feedback is from The ASIDE Blog. KEEPING YOUR BLOGGING STUDENTS SAFE ONLINE has some very useful info. Edublogger’s Guide To Involving Parents With Blogs is from the Edublogger. 100+ Ideas And Prompts For Student Blogging is from The Edublogger. SHOULD YOUR CLASS OR STUDENT BLOGS BE PUBLIC OR PRIVATE? is from The Edublogger. 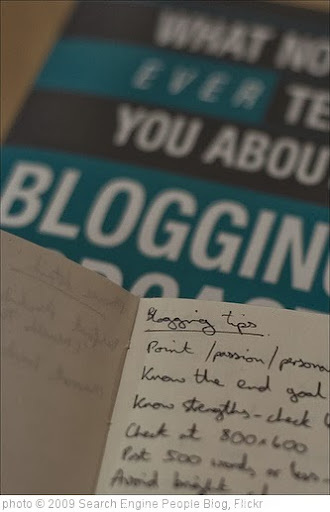 BLOGGING FOR COMPLETE BEGINNERS: GETTING STARTED WITH EDUBLOGS is from Edublogs. TIPS TO ENSURE QUALITY BLOGGING BY LINDA YOLLIS AND STUDENTS is from The Edublogger. BLOGGING WITH HIGH SCHOOL STUDENTS: ROSLYN GREEN’S STORY is from The Edublogger. MY CLASS: STUDENT BLOGGING MADE EASY! is from The Edublogger. Poster: How To Write A Quality Blog Comment is from Kathleen Morris. 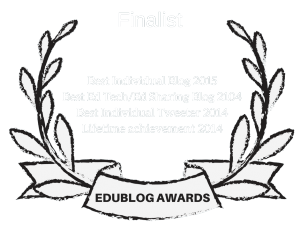 HOW TO DEAL WITH STUDENT AND CLASS BLOGS AT THE END OF THE YEAR is from The Edublogger. I am getting ready to blog with our 5th graders…start writing how-to posts about it….you get a resource list together for me. First, I hope you’re well! I haven’t had a chance to stop by in a while and miss learning from you—and from all of your friends over at In Practice. Second, glad that you found my Commenting on a Voicethread post worthwhile. It’s nice to know that I can help you out a bit, considering how much I’ve learned from you over the past year. You might find something helpful there for your blogging projects. Thanks for the great information! I want to have my students blog, and this collection of articles gave me some great ideas for implementing it. I have been blogging with my classes for 3 years now, each year building it up by adding an extra class – in 2009, almost all of my classes will be supported by a class blog. I use RSS subscriptions to keep track of the posts and comments. Mostly I just use a class blog, but this year my years 8 students will all make their own reflection/homework blog as well. I love your amazing links. I don’t know when you find time to do your other work. I don’t know whether it’s my age, but I’m finding the underlined links difficult to see. Any chance of going to something a little clearer? You’re not the first person to mention that problem. It’s a function in the design them on my blog. Sue Waters at Edublogs is helping me figure out a redesign for my blog, and having one that allows links to stand-out a lot more will certainly be an element of it. Thanks a lot for this! I have been blogging with students for a while, but it is great to think more formally about how I am introducing the various aspects you address. I know I need to be more consistent between classes as well. TIme to get more organized! He got me started and I’ve been at it 3 years now with my environmental science classes. The kids and I develop a rubric to grade quality posts each year.